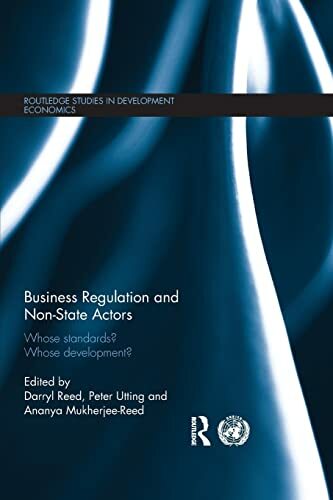 This volume assesses the achievements and limitations of a new set of non-state or multistakeholder institutions that are concerned with improving the social and environmental record of business, and holding corporations to account. It does so from a perspective that aims to address two limitations that often characterize this field of inquiry. First, fragmentation: articles or books typically focus on one or a handful of cases. Second, the development dimension: what does such regulation imply for developing countries and subaltern groups in terms of well-being, empowerment and sustainability? This volume examines more than 20 initiatives or institutions associated with different regulatory and development approaches, including the business-friendly corporate social responsibility (CSR) agenda, ‘corporate accountability’ and ‘fair trade’ or social economy. Darryl Reed is Associate Professor in the Business and Society Program at York University, Canada. Peter Utting is Deputy Director at the United Nations Research Institute for Social Development. Ananya Mukherjee-Reed is Professor, Department of Political Science at York University, Canada.